Highlighting the challenges of being Transgender when engaging as an employee or service user in the health and social care system. By challenging biases and perceptions through a thought provoking and engaging session, delegates will have their minds opened and the tools to take back to their organisation to make positive change in being more inclusive and supportive. 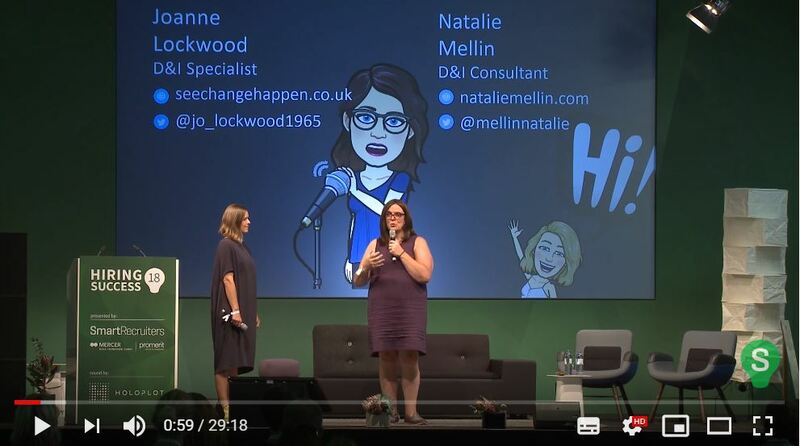 I was invited by The Recruitment Events Co to deliver my keynote at RecFest 2018 at Hawker House in July to an audience of over 300 recruitment focused professionals from all over the UK and Europe. My talk was entitled; “Recruiting and Retaining Trans and Gender Non-Conforming Individuals in the 21st Century” and was followed up with a Q&A afterwards. 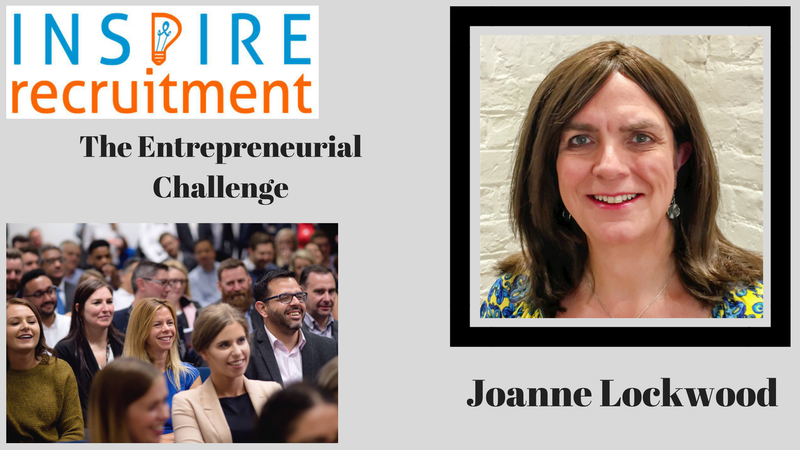 Very pleased to have persuaded Joanne Lockwood to give the fast paced five minute format a go and she’ll be sharing her own entrepreneurial journey with us. Inspire Recruitment is a fast paced and fun couple of hours from 6pm to 8.30pm on Wednesday 26th September in central London. Our line-up includes a dozen five minute presentations – all with the aim of inspiring agency and in-house recruiters, as well as HR professionals. You don’t have to be a “recruiter” to attend but all sessions will share a focus on recruiting and/or HR. This event is hosted by Alex Moyle of Nurtureit and Louise Triance of UK Recruiter and sponsored by CloudCall. Exploring our own Intersectional Individuality and recognising that our biases and that first impressions do count. Highlighting why is Inclusion important with diverse teams and we need to move on from simple Equality & Diversity. Understanding the impact of “phobias”, “isms” and “banter” on Mental Health and the Role Business Can take to support Transgender employees. Language has the power to divide and destroy, yet we are all human. If we truly listen to each other, understand and actually communicate, then language has the power to unite, to bring love, friendships and change the world for the better. How we label each other, and most importantly how we label ourselves, shapes the lives of those around us. Language evolves, words can have different meanings based on culture, and when we translate we can miss out on the emotional connection and context of our words, and often we speak without listening. Joanne Lockwood, promotes a Diversity & Inclusion and specialises in Transgender Awareness and knows only too well how language, when used as a weapon or through carelessness can hurt and exclude people. She reminds us that, that each of us has value, and simply put; that everyone deserves to be treated with dignity and respect, and it is that, being listened to is key to belonging and feeling included. When going through her own journey, she finally was able to overcome her own limiting beliefs, by simply saying “I am”, and was able to realise that by taking responsibility for believing in herself, then everyone else followed… Key Take Away To learn to listen and to understand that, what we say and how we say it, shapes our lives and those around us..! Raising Awareness of Terminology and Misconceptions surrounding Trans and Gender Non- Confirming Individuals. Barriers to inclusion and ways to ensure your organisation is welcoming and open. You’ll leave this session with keys steps in building a trans inclusive workplace and some quick wins to make sure everyone can get on board. Been asked to dance? – but is it the wrong music! Why: Joanne brings her perspective as a female entrepreneur, building a Diversity & Inclusion practise as a transgender woman, having lost most of her previous privileges and sense of inclusion. She is well placed to challenge the norms and provoke some serious discussion in a safe and open space. Key Learnings: We will discuss the challenges within D&I to create a culture of belonging – share ideas and strategies that work, and that haven’t. Consider long-term, sustainable and intersectional programmes which go beyond ROI and being the latest fad focusing on single issue characteristics. It’s about everyone, it’s about treating all people with dignity and respect. It’s about culture and ethos! Summary: We talk about being able to bring our whole selves to work, we talk about being asked to dance so we feel included, but what are organisations really doing to celebrate, embrace and make sure that a culture of belonging comes to life as an ethos throughout? Are there champions at all levels?, What initiatives are working?, How do we measure success? and Most importantly are they sustainable? This forum will allow us to share our own ideas and experiences, learning from others to take back some strategies that work. Bio: Joanne Lockwood is the founder and CEO of SEE Change Happen, an Equality Diversity & Inclusion Practice specialising in providing Transgender Awareness and support to organisations and businesses. Her mantra is Smile, Engage and Educate and she passionately believes that “people are people” and, no matter who they are, deserve to be treated with dignity and respect.